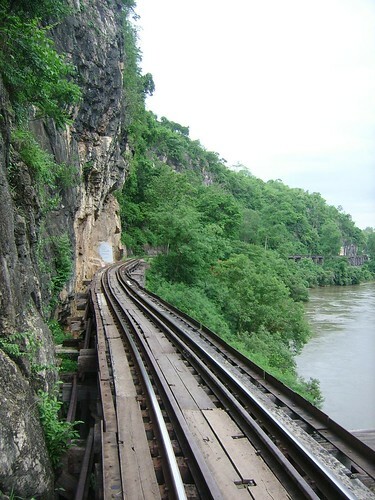 If you’re looking for a really scenic train ride – taking the Death Railway from Kanchanaburi (Western Thailand) is it! 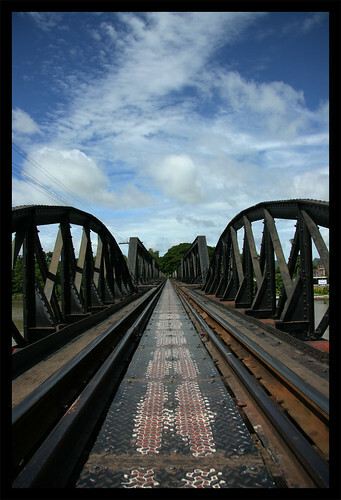 The train ride starts with a historic highlight: you drive over the Bridge over the River Kwai. 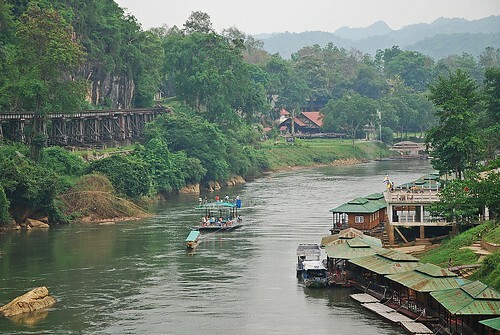 Once you’ve crossed this bridge, you get to enjoy a scenic ride through the Kwai Noi valley. The train stations in this area are small and lovely. Lots of frangipani and jasmine flowers here. The really impressive stop is Prasat Muang Singh – this is an old Kher temple complex. Nobody really knows how old this temple is, when it was built – it was one of the most Westernmost outposts of the Khmer empire, but there are no written records about this temple. Later on, the train ride get’s exciting: you are driving through thirty meter deep solid rock cuttings. It is very impressive to see this, and it puts things in perspective. Now, you might be wondering why it’s called “death railway”. If it weren’t for the history of this place, then it would probably be called death railway because of what follows next: a bridge. But it’s not a normal bridge. It is a bridge that can’t possibly support the weight and strain of a moving train over it, clinging to a steep cliff along the Kwai Noi. Well, at least it looks like it couldn’t possibly support the weight and strain of a train. But in fact, miraculously, it does. It’s not called death railway because of train accidents where passengers died – it’s called death railway because almost every man who worked on this bridge died during construction under the harsh and dangerous working conditions. When you leave this part of your train ride behind you, the next stop is Tham Krasae – which means Krasae cave. In the cave, there is a Buddha image – you can see it from within the train. 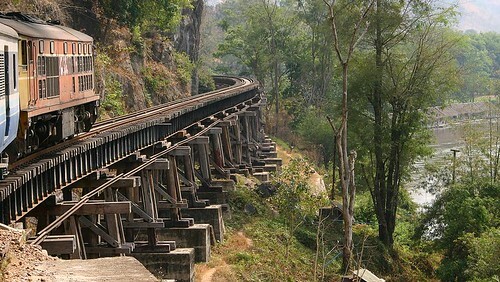 Just as a good Hollywood movie, the Death Railway ride also has a happy ending – the last stretch of the track passes through a really lovely, beautiful natural area and finally reaches it’s final destination: the small town Nam Tok.